Joan Miró was born in Barcelona, Spain, in 1893. He was a painter who combined abstract art with Surrealist fantasy. He worked extensively in lithography and produced numerous murals, tapestries, and sculptures for public spaces. He experimented with the boldly colorful Fauvist style, but his treatment of form was geometric, influenced by the work of Paul Cézanne and the Cubist artists. 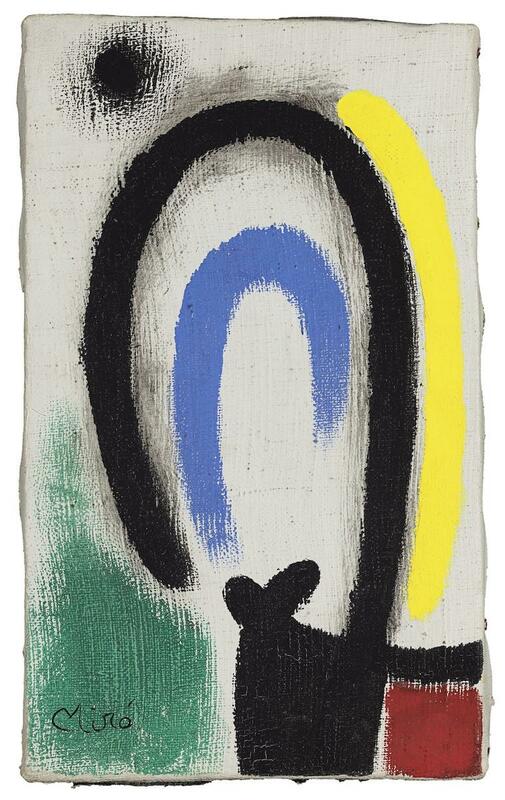 From early in his career Miró sought to establish means of metaphorical expression—that is, to discover signs that stand for concepts of nature in a transcendent, poetic sense. He died in Majorca in 1983.